Mama returns in an entirely new experience that will challenge your creativity. Join Mama and her award-winning formula of addictive, stylus-based activities as you sew, mold, paint, cut and much more. Crafting Mama is the only dedicated crafting game that features 40 different craft projects so you make a new creation every time! ■The latest addition to the best selling franchise: more than 6 million games sold! ■Includes 40 different projects across a huge variety of crafts: make aprons, mini Mama dolls, paper airplanes, birdhouses, patchwork quilts, earrings, boomerangs, mugs, candles, kaleidoscopes, flower decorations, xylophones, and so much more! ■Use your creations to accessorize Mama or play a mini-game. Sew an apron for Mama to wear, fly a paper airplane you’ve freshly folded and more! ■How your creation ultimately looks depends on how well you perform each step of the activity—get a different result every time! 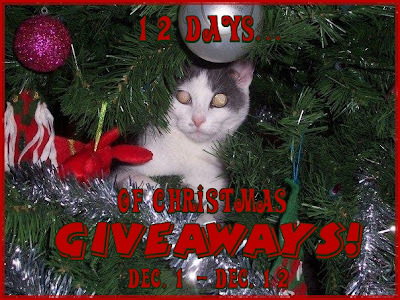 Crafting Mama has sponsored my '12 Days of Christmas Giveaways'! One lucky person will get the opportunity to win their very own game! 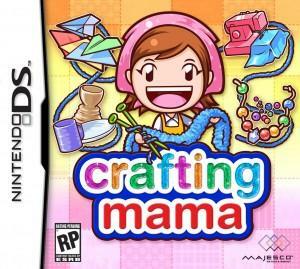 "Win your own Crafting Mama Nintendo DS video game! @kimmie_1980 http://tinyurl.com/26em3fd (12/19) #giveaway"
Crafting Mama, is sponsoring my '12 Days of Christmas Giveaways' event, and offering a product to one of my readers. I did not receive any compensation or incentive nor was I required to write a positive review. Individual results or experiences may vary. I checked out crafting mama Ds site and I would love the game for my 9 year old daughter. She would be estatic! My niece has a Nintendo DS and this looks like the type of game she would really like. I think it is cool that the player can use their creations to decorate - kind of like a Sims game, but more down to earth. I Voted for you at On The Fence. I would like to win this because my son would like it. 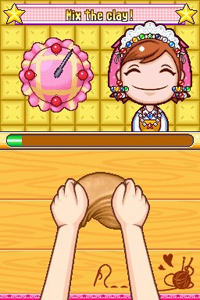 I'd like the game to give to my daughters who love cooking mama, they've seen this game and it looks like fun!